Hong Kong University of Science and Technology, in Hong Kong, China. Over the past few years our work has generated many outputs, and it is very rewording to see that they are highly assessed. We have recently checked the citations of papers from our STOTEN Special Issue: Air Quality in China: Current and Emerging Challenges. It is about two years since we finished the SI, and numerous papers have been highly cited. Congratulations to the many authors from the Centre! As you know, the Centre is currently working on several ‘big papers’, addressing the Big Questions, which hopefully will not only repeat, but also exceed the success of this SI. View the top ten most cited STOTEN Special Issue papers! A course opportunity at the University of Cassino, for a Master of Science in Mechanical Engineering has been announced. The course is given in English and is for students possessing a Bachelor’s Degree in Mechanical Engineering or in Industrial Engineering. If you are interested in this, the contact person at the University of Cassino is Professor Fausto Arpino (f.arpino@unicas.it), and additional information is available on their website. Applications for 2019 – 2020 is open until June 2019. 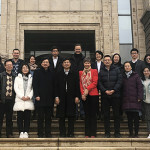 A very successful 3rd Mini ACC-AQSM Symposium took place on the 15 January 2019, at the Fudan University in Shanghai. 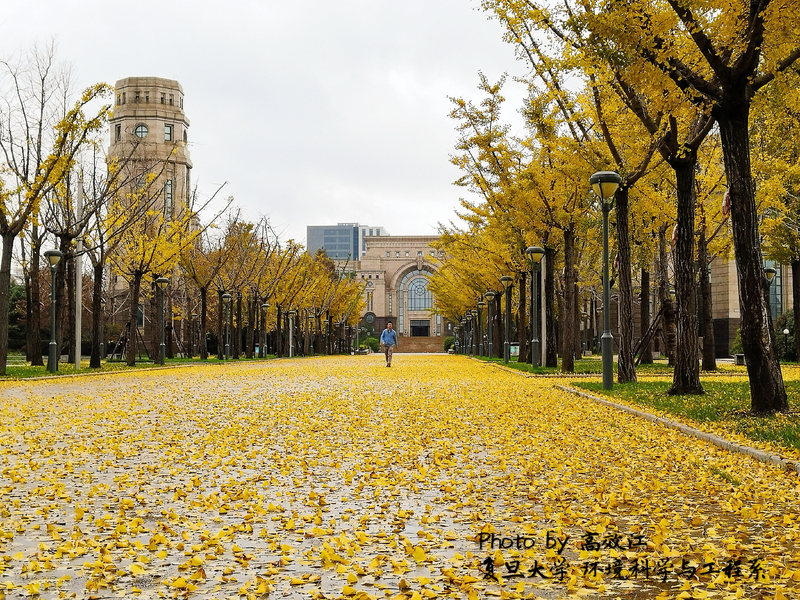 The Symposium focused on a new topic, Discussion on air pollution in a broader context of urbanization, and continued reviewing the progress on addressing the seven Big Questions. For more information, please visit the Events page. Our first activity for the New Year, the 3rd Mini ACC-AQSM Symposium titled, Air pollution in a broader context of urbanization, is to be held on Tuesday, 15th January 2019. The Mini Symposium will take place in a beautiful venue of the Jiangwan Campus at the Fudan University, in Shanghai. To view the Program. A very successful event took place in Perth last week, the 4th Annual Meeting of our Centre! A big thanks to Professor Ben Mullins and his team for organising such a wonderful conference, and to the Curtin University for hosting it! For more photos. 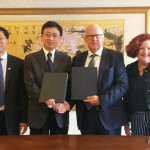 Our Centre has extended its collaboration to Guangzhou, China, with the Jinan University (JNU), officially joining the ACC-AQSM as a new member! 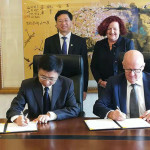 On Monday, 12th November, the agreement was signed at JNU by the Deputy Vice-Chancellor and President of JNU Professor Hong Zhang, and the Deputy Vice-Chancellor and President of QUT Professor Scott Sheppard. The Vice-Chancellor and President of QUT, Professor Margaret Sheil, was also part of the QUT delegation that visited The Institute for Environment and Climate Research (ECI), JNU. To read more information about the JNU and its involvement with the Centre. The Program for the Annual Meeting 2018, to be held in Perth, Western Australia from the 22-24 November 2018, and hosted by Curtin University, is now ready and has been uploaded to the Events Page. The Draft Program for the Annual Meeting 2018, to be held in Perth, Western Australia from the 22-24 November 2018, and hosted by Curtin University, has been uploaded to the Events Page. 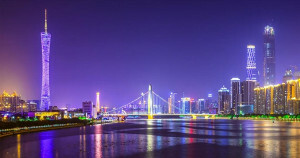 The 3rd Mini ACC-AQSM Symposium is set to take place on the 15 January 2019, and is to be held at the Fudan University in Shanghai, and is hosted by Professor Jianmin Chen! 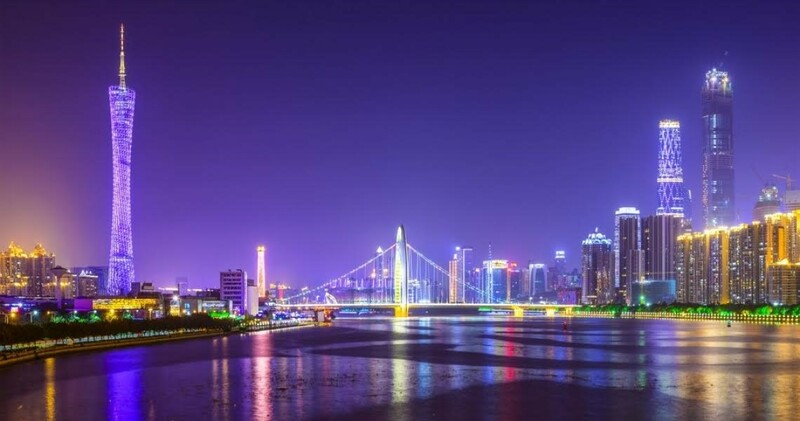 This mini symposium will build on and extend the work of the mini symposiums held in Beijing in April and in Guangzhou in July, and will provide an opportunity for more members to participate in addressing the seven Big Questions. More details about the symposium will come soon. 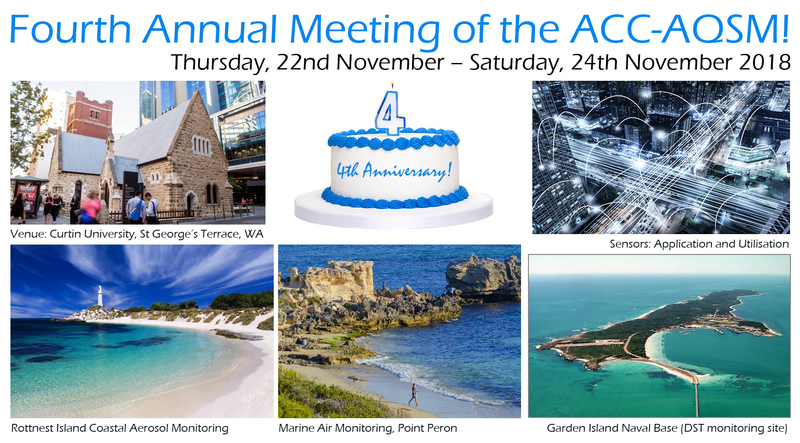 The preliminary program for the fourth Annual Conference of the ACC-AQSM to be held in Perth, Western Australia from the 22 – 24 November 2018, and hosted by Curtin University, is now available. The 2nd Mini ACC-AQSM Symposium took place on the 3 July, and was hosted by the Jinan University in Guangzhou, at which several members of Centre participated. The Symposium was held primarily to continue working on addressing the seven Big Questions. 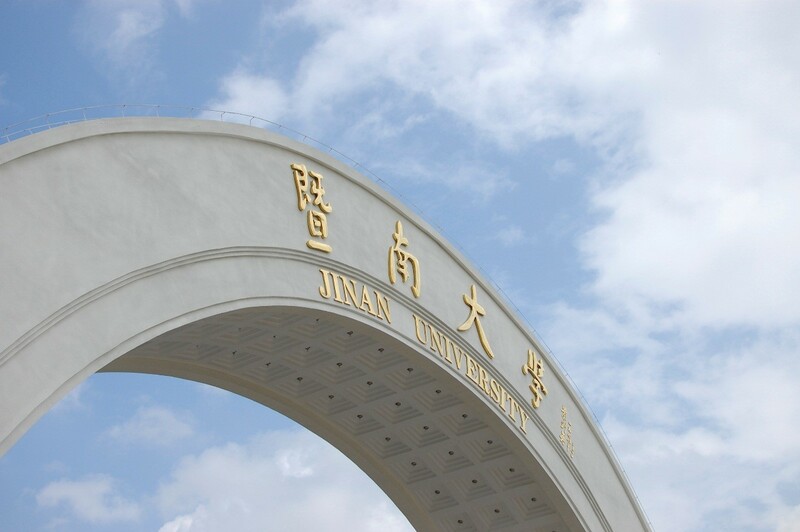 For more information about the Jinan University and the Symposium, please visit the Events Page. The 2nd Mini ACC-AQSM Symposium is set to take place on Tuesday, 3 July 2018 at The Institute for Environmental and Climate Research (ECI), Jinan University in Guangzhou, where we will continue working on addressing the seven Big Questions. To view the agenda and for further information, please visit the Events Page of our Centre website. 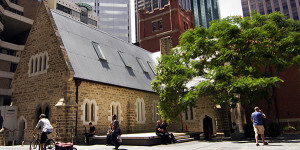 The fourth Annual Conference of the ACC-AQSM will be held in Perth, Western Australia from the 22 – 24 November 2018, and hosted by Curtin University. We are preparing an exciting program for the conference, with application of sensors and utilisation of big data they generate as one of the major foci, as well as some exciting study trips to the Defence Science and Technology (DST) air quality monitoring facility at the Garden Island Naval Base (Rockingham), and for marine air monitoring at Point Peron and Rottnest Island. Further information and the preliminary program is to come soon. From the 20-23rd March 2018, a three day Sino-German Symposium on “Bridging Aerosol Chemistry and Health Effects: Challenges and Opportunities for Analytical Chemistry“, was held at Jinan University, in Guangzhou. 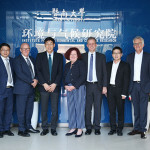 The symposium was organised exceptionally well by the host Prof. Li Xue, from Jinan University and Prof. Ralf Zimmerman from the University of Rostock, Germany. In addition to scientists from Germany and China, there were invited presenters from USA, Finland, Sweden, Luxembourg and Australia. 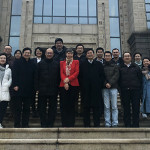 A number of ACC-AQSM members participated and presented, such as Professors: Zoran Ristovski (ILAQH, QUT), Chak Chan (City University of HK), Hai Guo (HK PolyU), Hai-Dong Kan (FDU), and Maosheng Yao (PKU). 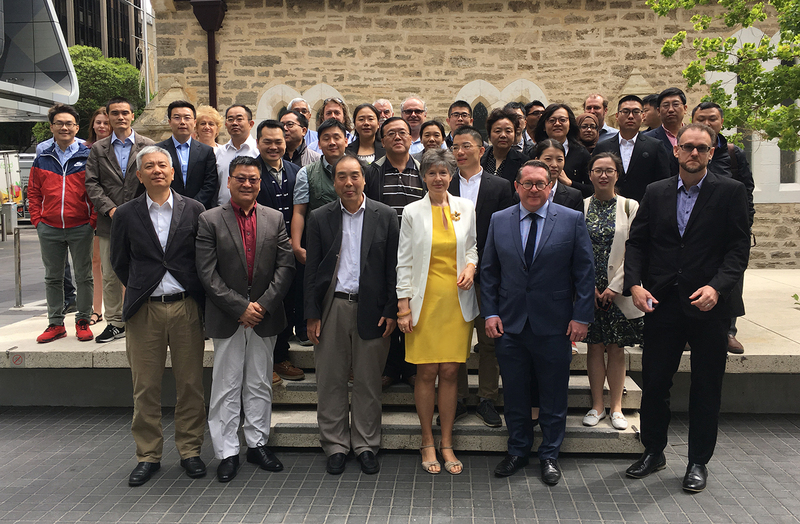 This was an excellent opportunity for air-pollution scientists from China and Germany to get together, present their latest findings and exchange ideas. Current status of international research on aerosol chemistry and environmental health was discussed. 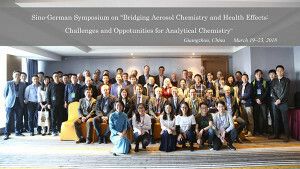 A total of 54 experts presented their findings on aerosol chemistry and health effects. A group photo of the participants is shown below. For more information, please visit the Symposium website. The next Mini ACC-AQSM Symposium is set to take place on Tuesday, 3 July 2018 at The Institute for Environmental and Climate Research (ECI), Jinan University in Guangzhou, where we will continue working on addressing the seven Big Questions. 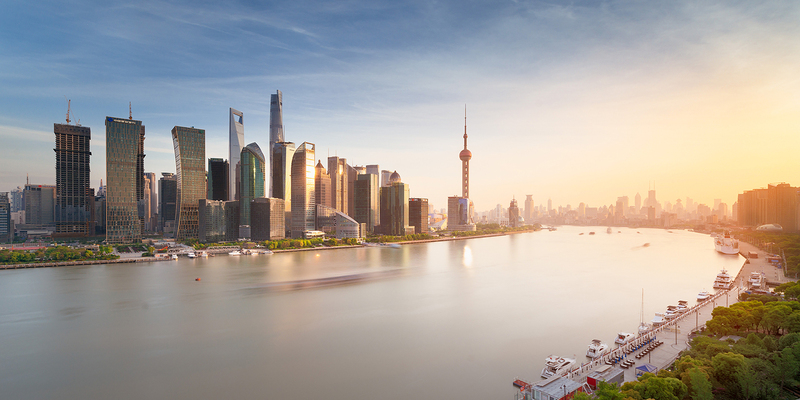 This mini symposium will build on and extend the work of the mini symposium held in Beijing last month, and will provide an opportunity for more members to participate. Everyone is invited and for more information, please contact Ms. Chantal Labbe (chantal.labbe@qut.edu.au) or Dr. Hao Wang (haowang201314@126.com). For further information and to read more about the ECI and JNU, please visit the Events Page of our Centre website. 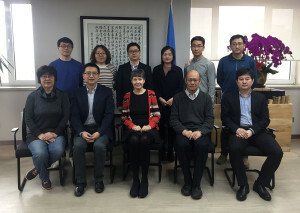 A Mini ACC-AQSM Symposium took place in Beijing on 12-13 April, following the WHO Beijing Policy Roundtable for Clean Household Air and Health in China held on the 10 April, at which several members of Centre participated. 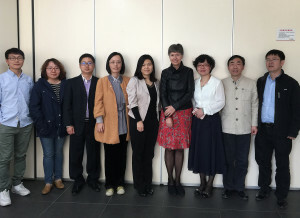 On 12 April, it was hosted by the School of Environment, Tsinghua University, and on the 13 April, by the World Health Organisation (WHO) Office in Beijing. The Symposium was held primarily to continue working on addressing the seven Big Questions. Please find below a group photo of Day 1 (Thursday, 12 April, focus on Big Questions 1, 2, 6 and 7) and Day 2 (Friday, 13 April, focus on Big Questions 3, 4, and 5). 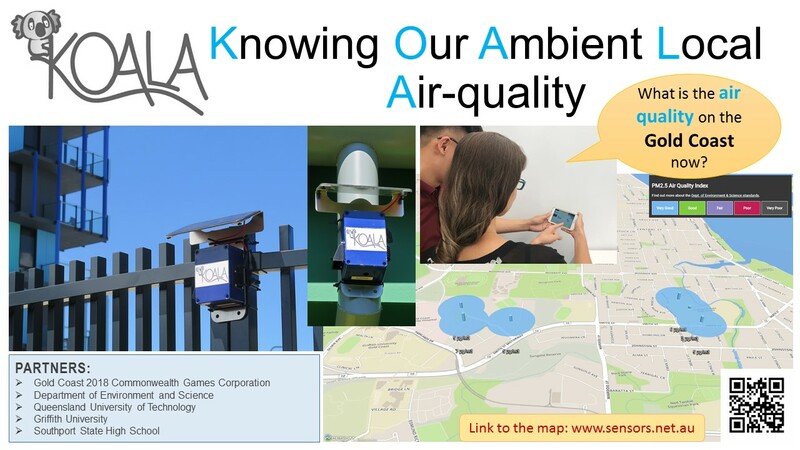 Following months of preparation, the sensor network at the Gold Coast is now operational and showing air quality data during the Gold Coast 2018 XXI Commonwealth Games. This is a project in which several members of the ACC-AQSM have been involved in. For more information, please see the link to the map and the link to the project website. The News story of this has been picked up by Fairfax Media over the Easter weekend, and ran it nationally through The Age, Sydney Morning Herald, Brisbane Times, etc. 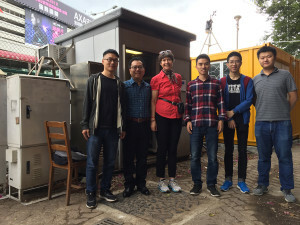 From November 2017 to early February 2018, the Hong Kong and Shanghai Winter Sampling Campaign was carried out simultaneously in Shanghai and Hong Kong, led by Professor Hai Guo from the Hong Kong Polytechnic University, Professor Lidia Morawska from the Queensland University of Technology, Professor Yingjun Chen from the Tongji University, and Professor Rajasekhar Balasubramanian from the National University of Singapore. 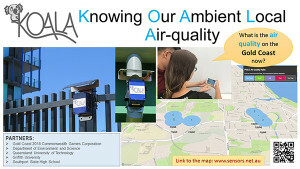 The project is a comparative study of emission, transformation and effects of urban pollution from Australia, Singapore, Shanghai and Hong Kong, and is funded by the Asian Universities Cluster (AUC) Center of Excellence in Civil Engineering. To read more about the campaign. 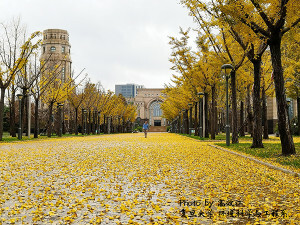 Happy Spring Festival to ACC-AQSM Members! May the Year of the Dog be happy, prosperous and professional fulfilling to all members of the Centre.